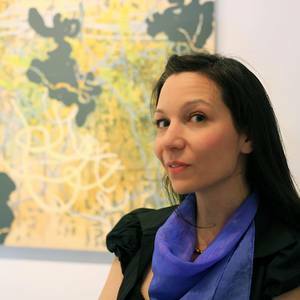 Ester Pugliese is a Toronto artist who has exhibited her work in Canada and England. Working in painting, drawing and installation, her work often integrates elements of sound/hearing with cues from the visual world to uncover discerned inconsistencies and unexpected parallels. Her work can be found in private and public collections in North America and Europe, including the Donovan Collection at the University of Toronto. She has been a member of Loop Gallery since 2009.